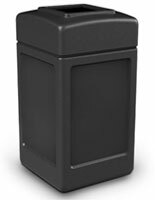 These black plastic waste bins will reduce littering and help keep areas clean. 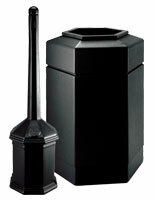 The trash cans have a 30 gallon capacity for holding garbage and can easily be emptied with their removable lid. 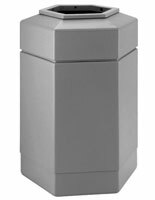 Plastic waste bins are great for public facilities, retail stores and other high traffic areas because they are made of sturdy polyethylene. 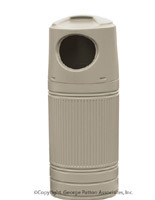 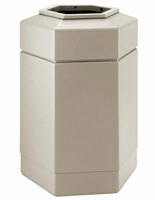 The durable garbage receptacles are weather-resistant and can be safely placed indoors or outdoors. 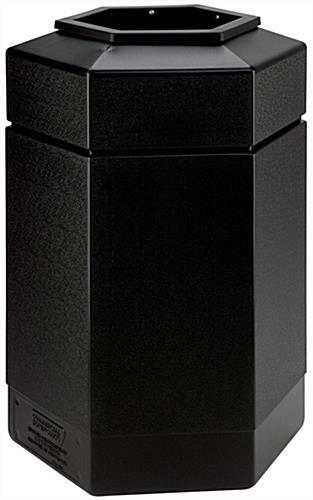 The waste bins with a removable lid feature a hexagonal design and a neutral black finish that complements any environment. 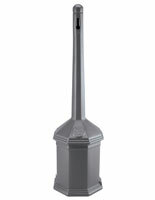 Trash cans are ideal for entries because these areas often suffer from the effects of littering. 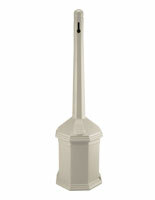 20.0" x 29.0" x 17.3"
Please add 2 business day(s) when determining the lead time.